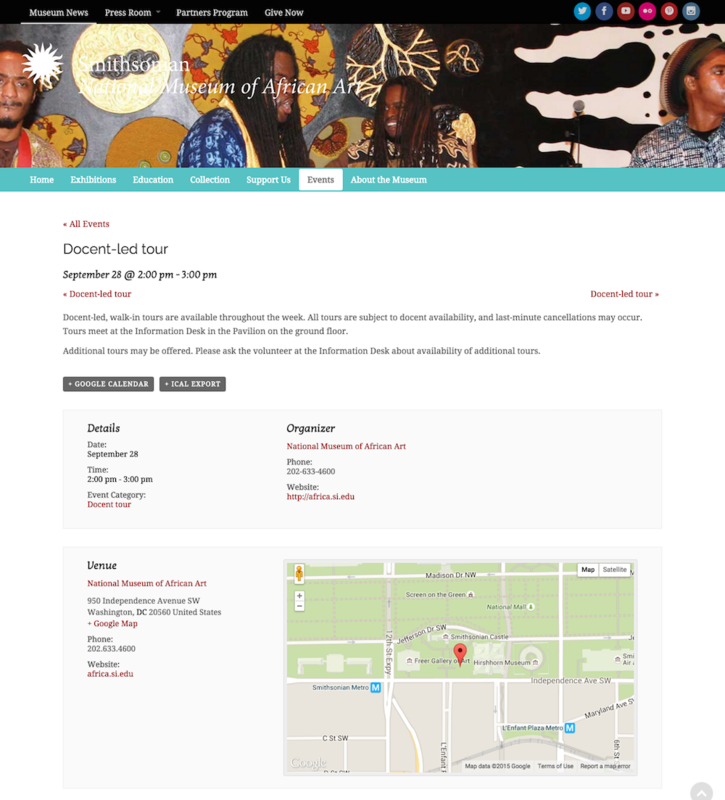 Want a docent-led tour of the National Museum of African Art? You can plan your visit by consulting their calendar. 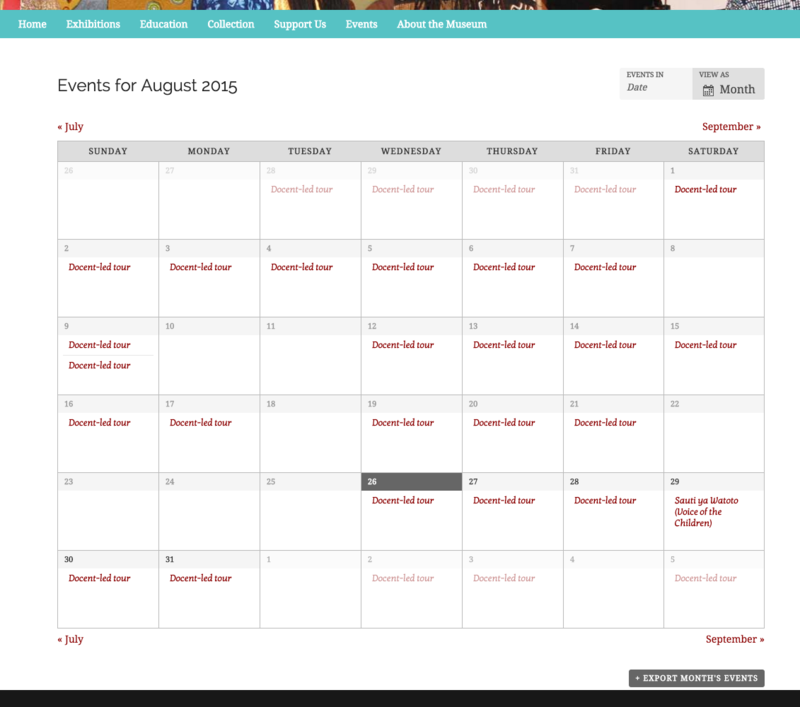 Visitors can quickly and easily find dates and times for available tours, as well as other events held at the museum. 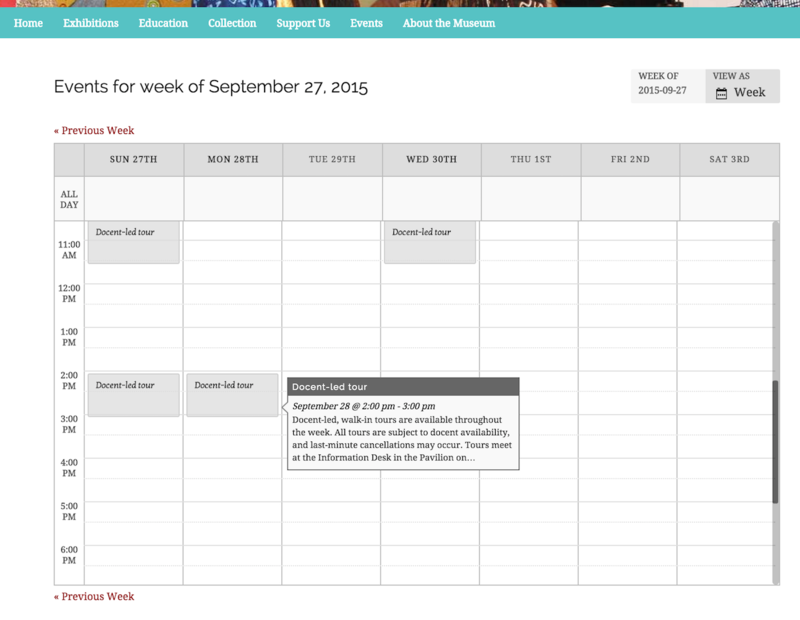 Upcoming events are showcased on the homepage using our Mini Calendar Widget.